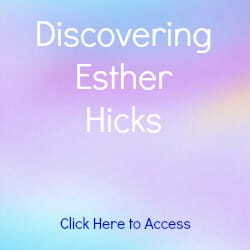 Read Esther Hicks' story and discover how she came to translate blocks of thought from the Infinite Intelligence called Abraham. You will also find resources on Discovering Esther, Esther and Jerry with Theo, Abraham Meditations and Abraham Channeling. You can read Esther's story on this site and in the powerful book The Law of Attraction: The Basics of the Teachings of Abraham by Esther and Jerry Hicks. Read an excerpt or click here for a preview. Everything is valid and everything is truthful, because Law of Attraction lets everything be. The question is not whether it's right or wrong, whether their approach is right or wrong, or whether my approach is right or wrong. When I first heard Abraham via Esther, words like these filled my heart with joy and I wanted to discover more. Research opened my world to Jane Roberts and Seth and Sheila Gillette and Theo. A world which fascinated me and still does many years later. Meditation, although I knew about it, became something that I understood and enjoyed through Esther Hicks. Esther Hicks never had an interest in anything metaphysical, in fact she was afraid of the "devil" which she had learnt about in Sunday school. She was just a very happy child growing up in the Rocky Mountains giving little thought to much else other than being playful and having fun. Then, in 1976, Esther met Jerry Hicks in Fresno via a friend of Esther's. Her friend had invited Esther to a business presentation given by Jerry. At this time, Jerry had been studying the book Think and Grow Rich and was very enthusiastic to pass on his knowledge. Esther was working as a book keeper at the time and didn't have a great abundance of money. She told Jerry that if she could buy a new pair of eyelashes every week she'd be really happy. So sweet! These books were introduced to Esther by Jerry. The blurb on the back cover of the book Seth Speaks describes it as being about a personality from another world speaking through the borrowed body of spirit medium Jane Roberts. Initially, Esther was very uncomfortable with the whole concept of a person (Jane Roberts in this case) being in contact with a non-physical entity. However, as Jerry gently introduced concepts from Seth's Teachings, she became less resistant and more and more open to the idea. Eventually, Esther came to appreciate the books, so much so, that she and Jerry decided that they wanted to meet with Jane, Robert and of course Seth. Unfortunately, or perhaps not, Jerry and Esther Hicks were never able to meet with Jane Roberts as she had made her transition into non-physical (died) prior to any meeting taking place. They did however, meet with Sheila Gillette and Theo. Read previews and excerpts from Abraham Hicks Publications. Esther says that when she receives Abraham it just feels like normal conversation. It doesn't seem like anything extraordinary is happening. It is only later when listening to the recordings that Esther is amazed at the intelligence that she has received. When Esther first began translating Abraham, Jerry, through his extensive study into the metaphysical, knew without doubt that something of tremendous value was happening. It was Jerry's confidence in the process that inspired Esther to continue the work. Esther says that is quite difficult to explain how she feels or where she goes when Abraham is present. She hears every word that Abraham is saying as they say it but she doesn't have any awareness of what they are about to say. She doesn't understand the big picture of what Abraham is wanting to express because she is receiving it at an unconscious level. She says that she can feel the energy but is not aware of the thought itself as she's receiving it. Esther is still able to see with her eyes when she is translating for Abraham, however Abraham sees energy, not the physical person. For example, at an Abraham Hicks conference, Abraham chooses people from the audience by the way they light up (their energy). Once they are in the chair (hot seat) Esther is able to see that person with her eyes and if she were to know them personally, on some level she would recognize that person. When Abraham is flowing through Esther, she is still present, her consciousness is still present, but so much more (All-That-Is) is there at the same time. Read how Esther and Jerry Meditated for 9 months before receiving Abraham. Today, Esther Hicks explains that she translates blocks of thought from "Non-Physical Source Energy" or "collective consciousness" - which she also identifies as her "Inner Being" or "Soul" - and who refer to themselves in the plural as "Abraham" (no relation to the Biblical figure). Fortunately, Esther no longer relies on typing Abraham's message, she is able to audibly speak their words. Read about the first time Abraham's message was verbally communicated via Esther. Click here to continue reading Esther's story. You can also read the story of Esther Hicks on the official Abraham Hicks site, or If you'd like to listen to the audio of Esther's story click here. For more on Esther and Abraham visit Abraham Hicks quotes, teachings and publications.